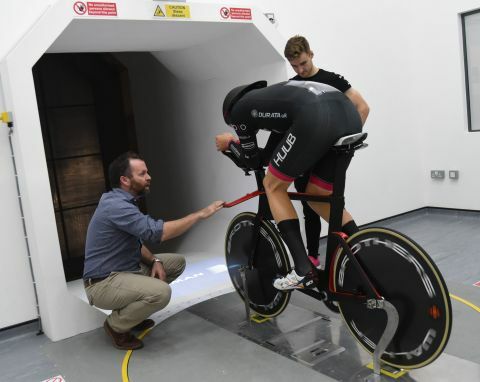 VeloUK recently spent time with Dan Bigham at the Boardman Performance Centre, where along with Dr Jamie Pringle, they spent time making Harry Tanfield faster on his track bike. No wonder they are making people sit up and take notice. And all this without having the option of taking these performances to the big stage; the Worlds, The Olympics etc, because none of them are part of the GB team although one that was last winter, is now a GB rider. Charlie Tanfield. 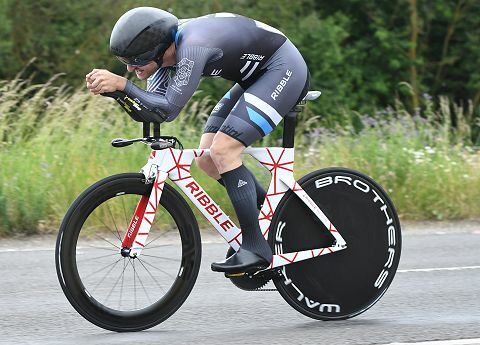 What is quite fascinating for me, and many others I expect, is how Dan Bigham can ride at 3.53 pace which took the GB nation many years, a decade or more, to learn how to get down to, as well as juggle a load of other jobs. 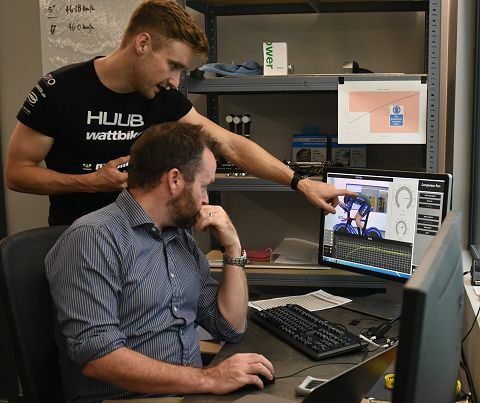 At the Boardman Performance Centre, he was there just to work with Jamie and his staff to get Harry Tanfield faster. 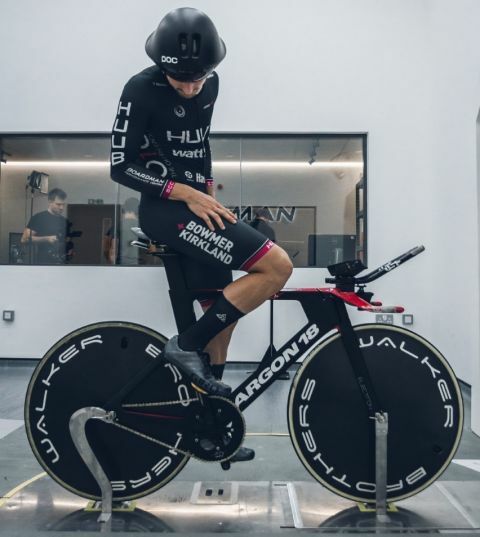 He’s also working with the Canyon//SRAM women’s team and was on the podium with them at the Worlds and has his fingers in other pies like making fast carbon aero kit (WattShop), and all of the behind the scenes running of the track team itself. “If I did the volume of training the others guys do, I’d fall apart and have done as I have tried to do that before. Also, if I tried to train like the other guys, everything else I do would not get done and we would not be where we are today. If we had a team manager in place doing that stuff, it would be great but there are still things I need to do myself”. “I think I am in good shape though and arguably I’d say I was the strongest in Paris and Canada for example, pulling the fastest/longest turns. It’s just harder to hold on to good form like that with a relatively low aerobic capacity.”. So how many hours does he dedicate to the training part of his project with the HUUB Wattbike Track Team. “On average, 11 to 12. A big week would be 15/16 hours, on the little weeks, eight or nine hours”. “It was a something we talked about last year – ie, ‘minimum effective dose’ – how much training you can do to get the stimulus that you require but no more that will unnecessarily stress you. And I guess it depends on your goals. In my case, I only need to ride hard for less than four minutes and I’m not training for the road right now so I am not out there doing long fat burning rides and that sort of stuff. I just perform well on race day for under four minutes and that is all that matters to me”. Under four minutes indeed. A 3.53 is pretty special and shows you don’t need GB’s millions and pick of the best riders in the country doing endless laps of the Manchester track to do that. So when did the track season start for Dan and his team? “After we finished the road nationals in late June. We moved in before that and started on track the first week of July. Since then, we have been on the track two to three times a week. Harry came in later because of his road stuff with Canyon Eisberg. 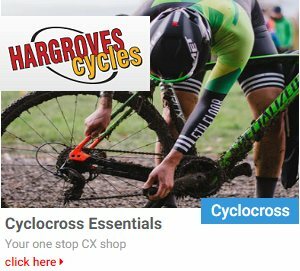 Early on, the training was about technique with longer efforts; getting used to riding together whereas now it’s about race exertion, race efforts and over speed work so we hit the splits”. Last year, Dan and the team were riding under four minutes. Now they are riding even faster at 3.53 pace. 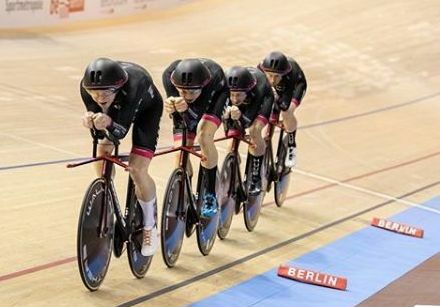 Ten years ago, 2008, Ed Clancy, Paul Manning, Geraint Thomas and Bradley Wiggins set the World Record of a 3.53. 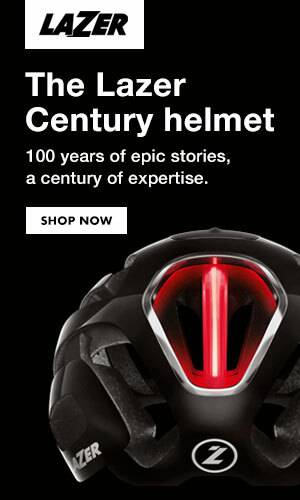 That’s two Tour de France winners, a three time Olympic champion and an Olympic champion. Now Dan and his mates are matching those times. 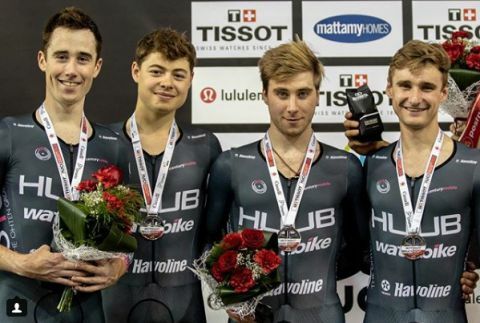 On how the HUUB Wattbike team have improved their times on last year, Dan says “it’s a combination of a lot of things. We the riders are slightly better physiologically. Not drastic improvements as year on year at this stage, you’re not going to find 40 watts for four minute power because at the top level, that’s hard to get. We have also made a lot of changes with equipment and position. The clothing though is the biggest one, and while it varies from rider to rider, on average we are saving 20 to 25 watts with the new skinsuit, which is obviously huge”. At the time we spoke, the team had done two of the four world cups they will compete in; Paris and Canada. None were perfect says Dan and in Paris, the first one, they learned a lot of lessons the hard way. “Qualifying was a disaster in Paris (with a 3:57…) and I was pretty annoyed we didn’t put in a good ride because we had all the right components, but it just didn’t come together on the track. After that, we did some good rides and the 3.53 in rounds was a great one but it’s been hard to produce that kind of speed across three rides”. 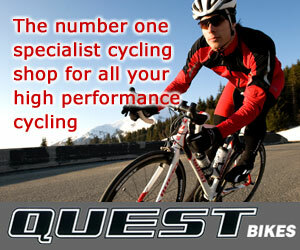 One of the team’s sponsors is the Boardman Performance Centre near Evesham. 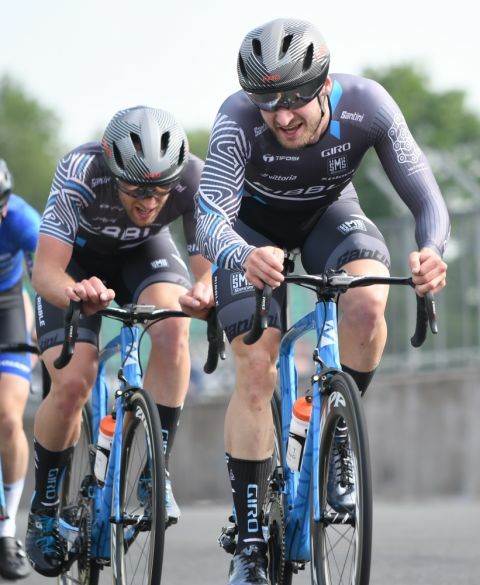 Telling VeloUK how it’s helped the team working with experts like Jamie Pingle there, Dan explained “it has helped us question things a lot more and we have that objectivity in the answers”. “Jamie is inspirational. He has been there, done that and got the T-shirt. He was one of the first people doing aero testing on the track back with Michael Hutchinson, and was involved in British Athletics around the same time I was although our paths never crossed then. So he’s one of the guys who follows the sport, understands it, and while not that vocal in the media, he stays in the back ground and he makes people go fast”. “It works and we’re going faster for it and that’s the end goal”. Asked what the typical gains are, Dan explained that varies from rider to rider. “Jonny Wale for example has made some wholesale changes to his position, 30 or 40 mm changes and people have spotted that and I have messages from a few people who have spotted the big changes, but it has been good that we could quantify the improvements”. “It’s a totally different way of thinking about it than others have done historically. When the question has been ‘can you ride in that position – yes or no’ and if it’s no, they sack it. But for us, if it’s no, and it’s faster, we look at how can we get him to achieve that which is a different approach”. “For me in the tunnel, I’ve lost count how many times I’ve been in there trying different things and there has been stuff that’s very experimental like we have found 20 watts in one position and I just can’t ride on the track on it yet. So I keep pushing on with it in the hope that I can finally utilise it. When that happens, there will be some heads turned so I am quite excited for when I crack it. It’s fast and different”. Is the equipment being tested too in the tunnel? “We are testing equipment a little in there like the skin suits where it’s easy to get quality data and then correlating that with everything we have from the track”. “On the track, we have the Notio Konect sensor array where we can measure air speed, tyre forces and things like that so our track testing has got a lot better and our wind tunnel testing is world class so we can do both testing in both situations and start to understand what happens in the wind tunnel and how that works on the track”. 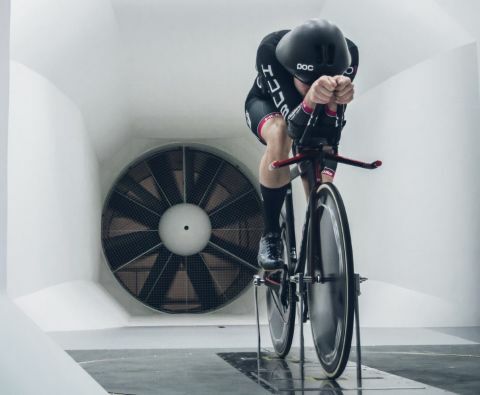 “For skin suits, it’s been bang on, whereas with wheels less so because the flow structures in the wind tunnel are not the same as you get on the velodrome so we test the wheels on the track”. 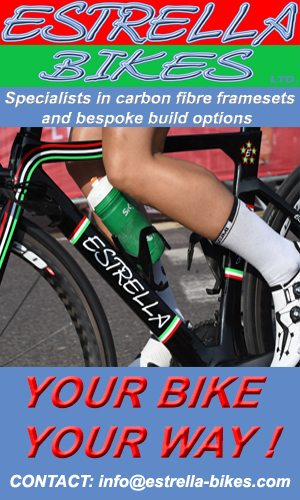 The racing for Dan though is not all about the track as he is one of the riders in the Ribble Pro Cycling Team which has gone UCI this year. 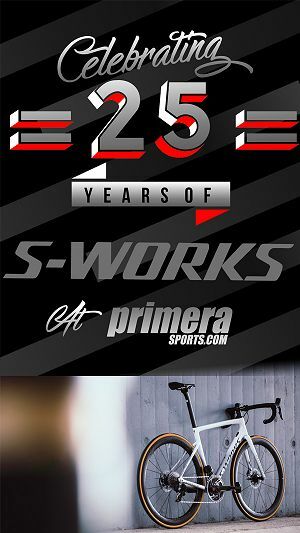 So after the track nationals in January, what will his goals be I asked? He replied that the road season goals were still being thought through but off the top of his head, he explained “I would like to target the back end of the season and miss the early season prems. 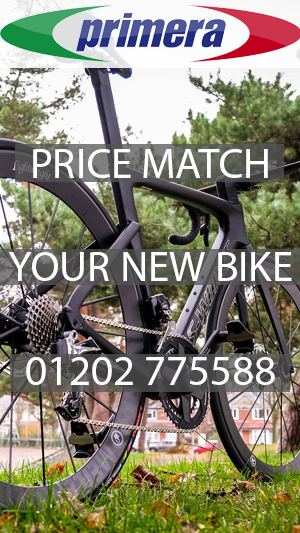 Nail the National TT & RR, and Tour of Britain if selected where we would want to go well. It would be nice if they put a time trial in it! That would be my main goal”. “I didn’t do much UCI stuff on the road last season as it was compromised because I wanted to hit this track season quite hard but as we have learnt a lot from that and put a lot in place, next summer we can probably be more relaxed on the development and preparation side and hit it a bit later and instead focus on the road results that Ribble Cycles will want”. “It’s not optimal that’s for sure when everyone is training to ride team pursuits in different ways. I think the fastest team should go like in other sports (athletics, rowing etc). In the UK now, we have two teams that are among the fastest teams in the world right now so why can’t you trial for major events?”. Would Dan be tempted to coach a nation’s team? “Not coaching as such, and not right now, maybe in the future where I’II definitely want to be in the situation where instead of having a small budget and four mates in a team, I’d like to be heading up a national team and doing it that way but not now, I am way too competitive an athlete. It’s all about doing what we can do as athletes right now”. Thanks to Dan for the informative as ever interview and look forward to seeing them rip it up in London!